"For total comfort before and after any high-output pursuit, pull on the Latitude Full Zip. 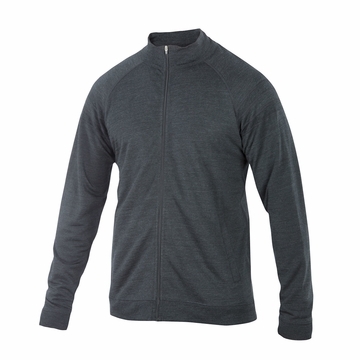 The 100% Merino of this French terry knit transitions with style from pre-session ritual to post-workout refuel. We’ve sourced 100 percent Merino wool from New Zealand for this classic French terry knit fabric; a looped pile creates a lofty touch for the ultimate in lounge wear, and also works to pull moisture from the skin — a plus for temperature regulation and breathability."